Voni Studio’s latest series, Midday in Utero, is a collection of works exploring the mysteries of human development and our hazy embryonic memories. 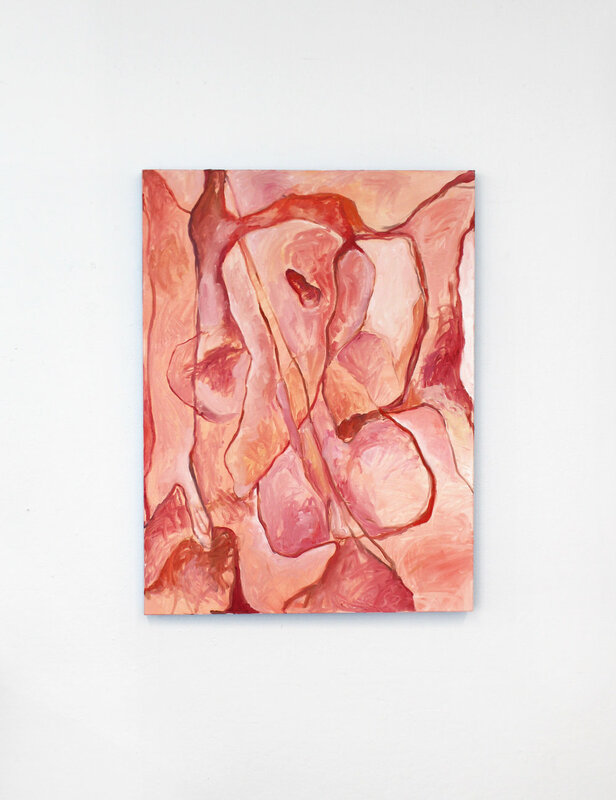 Based on theoretical studies about the sometimes inexplicable connections new parents have with their babies, Voni is interested in visualizing the place those connections may have formed—striving to immerse you in her surrealist examination of the womb. DRØME: Where do your ideas come from? Voni Studio: A large part of my work draws from psychoanalytic theory. I am very interested in thinking about the human condition as a whole—how we as human beings think, act, and develop. In order to express these abstract situations of the human experience, I try to analyze how I personally experience the world. I have all these visuals in my head that kind of flash across the surface of my brain. The things I decide to physically make are the specific images that have stuck out the most—images that are really loud and want to come to life. Those are the things that I know I want to share with people, so I find a way to translate it into a tangible form so everyone can experience the same feeling, object, image, or idea that I am experiencing. What is the concept behind Midday in Utero? 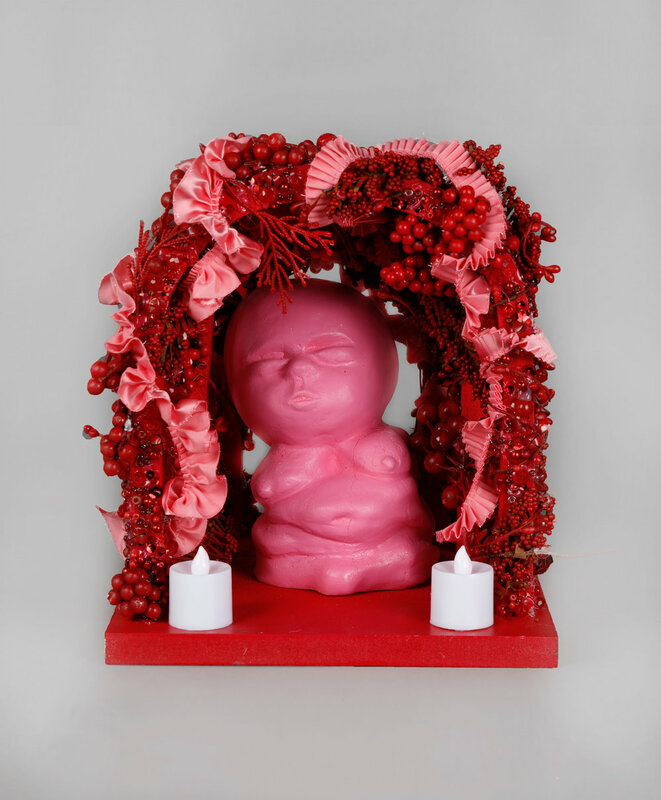 Midday in Utero is an exploration of the mystery of the womb. I have had this fixation with the idea of the womb as some kind of surrealist place—what if we were in some kind of dimension where the womb was actually a room we could step into? I wonder what it feels like to be inside a womb because I don’t think any of us, as developed humans, have any recollection of the prenatal part of our existence. We know the science of it, but it is a part of existence that is still a mystery in terms of personal experience. Midday in Utero was also inspired by primary maternal preoccupation, a theory developed by 20th century psychoanalyst Donald Winnicott. The theory suggests that there is psychological phenomenon in the two weeks following a birth in which the [birthing parent and their child], though no longer physically joined, are extremely sensitive to and aware of the other as though still functioning as one body. I don’t necessarily believe this theory—I have asked some mothers and they say it perfectly describes their experience, while others don’t—but it is an extremely bizarre concept and I wanted to somehow bring this hypothetical idea into a tangible expression. Midday in Utero includes garments, painting, and sculpture work. What aspects of your overall thesis do you explore with each medium and how do they relate to each other? Within Midday in Utero there is the Womb Collection, which is all garments. When making the Womb Collection, I was thinking about how the person feels when putting on the pieces and what they see when the object comes over their head. I was thinking about how clothing can act metaphorically as a womb—it is a shelter, a place to inhabit. I wanted the wearer to see all these colors and feel these sensations when putting on those garments that simulate a womb-like space. I also wanted the person wearing the pieces to suddenly be transformed into an embodiment of the different characteristics of the womb, from gentle and fertile, to bleeding and blooming. The sculptures and paintings draw more from the theory of primary maternal preoccupation and also references this sort of ancient practice of birth. In ancient cultures, fertility was extremely glorified—people worshipped fertility gods and goddesses and performed rituals they believed would heighten their chances of creating offspring. How has your work evolved over time and what has been most influential to your growth as an artist? I used to just work from instinct without any topic really anchoring my work. When I began my education at Parsons, I was prompted with all these theoretical writings and they were all so interesting to me. I felt that I could draw a lot from each one. The first series I made was called The Rhizome and it was based on Deleuze and Guattari’s rhizome philosophy. The series consisted of one painting and one wire sculpture, both with the same visual formal aspects. This was the catalyst to me understanding what it is to convey a singular idea through multiple pieces. When I began making wearable pieces I was prompted with the idea of creating a cohesive collection. This inadvertently gave me an incentive to curate my ideas more and more and to be very intentional about each piece I make. You can see Voni's Womb Collection at Brooklyn Night Bazaar on March 28th as a featured artist with RAW Artists, and see her perform with her band, The Amazing Musical Mezling, at Sunnyvale on March 2nd. For more from Voni and her work, follow @vonistudio on instagram.